Andrew Wright Hurley holds a PhD in German Studies and a Bachelor of Law from the University of Melbourne. 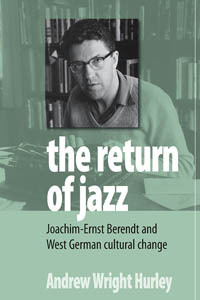 He has published articles on jazz in Germany and Australia, as well as articles on German Cinema, cross-cultural film-making, and law. He is a lecturer in German Studies at the University of Technology, Sydney. Chapter 2. Dance as escape? Chapter 3. Jazz greetings to and from the East? Chapter 14. The 1967 world-jazz encounters: An East-West jazz-divan?